Congress agreed this week to continue counting the tomato sauce on a slice of pizza as a serving of vegetables for federally-sponsored school lunches. In doing so, it sided with one of biggest makers of frozen pizza for school lunches the Schwan Food Co. of Marshall, Minn., a frozen pizza giant with more than $3 billion a year in annual sales. The privately held company was at the heart of the lobbying battle in Washington over pizza and convinced several members of Minnesota's congressional delegation to follow its lead. Democratic U.S. Rep. Keith Ellison and Republican U.S. Rep. Erik Paulsen were the only Minnesota members of Congress to vote against the bills. Schwan Food pizza brands include Red Baron, Freschetta and Tony's Pizza. Besides the products it sells to consumers, Schwan's does a big business selling frozen pizza to the federally-subsidized school lunch program. 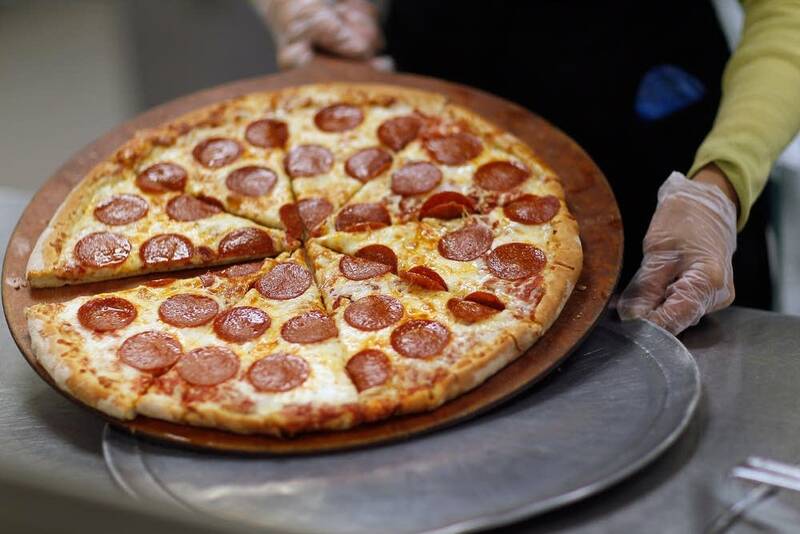 A recent press release from the company boasts that it has a 70 percent market share in the pizza category of the $9.5 billion school food service industry. So when the U.S. Department of Agriculture proposed new, stricter nutritional standards for school lunches earlier this year, it set off a massive lobbying campaign by Schwan and companies such as food giant ConAgra. 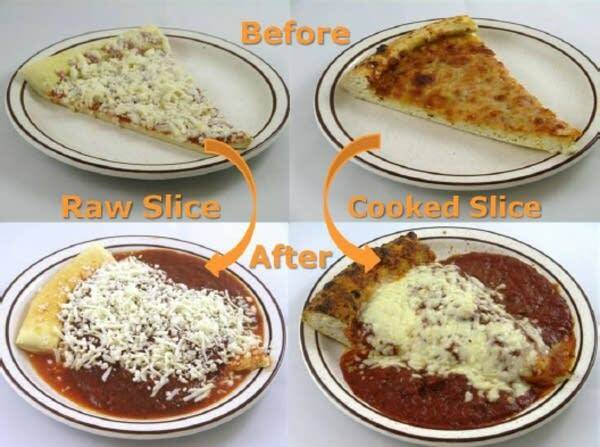 In particular, they honed in on a rule that would give tomato paste — a key pizza ingredient — less nutritional credit than under the old rules. Federal lobbying records show that Schwan and the American Frozen Food Institute, the industry's trade association, spent about $450,000 on lobbying this year, although the information available to the public doesn't say how much was spent on this issue alone. The bill that passed Congress Thursday orders the U.S.D.A to scrap the proposed tomato paste rule in the school lunch program. Schwan officials did not respond to several requests for an interview. But officials at the American Frozen Food Institute made a variety of arguments for continuing to give tomato sauce preferential treatment when calculating vegetable servings. The arguments centered on the possible increase in cost to school districts and the lack of a scientific basis for U.S.D.A decision. Institute officials also said that, because the new rules would have required pizza makers to use more sauce to meet nutritional content guidelines, the taste of newly reformulated dishes might be less popular with children. Lawmakers listened, institute spokesman Corey Henry said. "This is the end result of our efforts to educate members of Congress, speak to both sides of the aisle," he said. "They have come together understanding there needs to be a more balanced and sensible approach to addressing childhood nutrition than was originally drafted by U.S.D.A." Henry said the proposed rules would have led to higher costs and lower sales for companies selling lunches to schools. Earlier this year, U.S. Rep. Collin Peterson, a Democrat, cited the cost argument in an Agriculture Committee hearing on the proposed rules with a U.S.D.A. official. "Your proposed rule would significantly change the way tomato sauce and tomato paste is counted, which would substantially increase the cost of serving school lunches and generally make pizza uneconomical for schools to serve as I understand it," Peterson said. Peterson's position is not a surprise to most observers of nutrition policy — he's long been viewed as having extremely close ties to the agribusiness and food lobbies. In that hearing, Peterson hinted that Congress would act to soften the rules if the department did not. That's what happened this week. U.S. Rep. John Kline, a Republican who is chairman of the House Education Committee, also cited concerns about the overall cost of the rules in an April letter to Agriculture Secretary Tom Vilsack. Kline said Thursday that he has a philosophical objection to nutritional rules for school lunches and he believes the federal government should not be involved in telling people what to eat. "That presupposes the only way you can address childhood obesity or get responsible behavior on the part of adults is to have a law from Washington, D.C.," Kline said. "I fundamentally reject that notion." Other members of Minnesota's delegation who raised questions about some of the new rules include U.S. Sen. Amy Klobuchar, who is running for re-election next year, and Sen. Al Franken. Both are Democrats. Peterson, Kline and Klobuchar have received regular donations to their political campaigns from both the Schwan Food Company's political action committee and the PAC that represents the American Frozen Food Institute. Franken has not received contributions from either PAC. In a June letter to Vilsack, Klobuchar raised specific concerns about the tomato paste rule and new standards for whole grains — two of the main ingredients in pizzas. Some of the concerns in the letter also mirror the frozen pizza industry's arguments against the proposed rules. Members of Klobuchar's staff say she sent the letter after hearing constituent concerns about the rules. But they wouldn't say if the Schwan Food Company was one of the constituents who raised the issue. Klobuchar's position was unexpected by Margo Wootan, a nationally-recognized nutrition policy expert at the Center for Science in the Public Interest. Wootan said frozen pizza is one of the least healthy items found on school lunch menus. "It's surprising to see a letter that supports all of the industry's opposition to the proposed school meal regs from a member of Congress who's usually a champion for kids and for healthy school lunches," Wootan said. Klobuchar was an original sponsor of the 2010 legislation that gave the U.S.D.A. the power to tighten the nutritional rules for school lunches. A statement released by the Klobuchar's office said she supported the Hunger Free Kids Act because she believes children should be served healthy foods. It notes that while she has expressed concerns about tomato paste, "she believes they should have been addressed by the experts at the Department of Agriculture, not through legislation." The legislation that ultimately passed went directly to heart of the concerns Klobuchar raised in her letter and a similar statement she entered into the Congressional record last month. "But the end result would have been the same," Wootan said, "and she added fuel to the fire with her letter." All of this was part of a much larger lobbying campaign that targeted scores of lawmakers from both parties from across the country. Franken also sent a letter to the Agriculture Department asking the agency for the scientific basis for its recommendation on tomato paste. But his letter was sent on Nov. 1, well after Klobuchar's letter and not long before a joint House and Senate negotiating committee killed the new rule. In the end, the bills rolling back these rules passed overwhelmingly in the House and Senate — mostly because they were part of a much larger spending package to keep the government's lights on for another month.